Xiaomi Mi4C With Snapdragon 808, 13-MP +5-MP Camera, USB Type C Coming This Sept.
Chines smartphone giant, Xiaomi Mi4C soon going to launch the successor of Xiaomi Mi4i as Xiaomi Mi4C. Xiaomi Mi4C with Qualcomm Snapdragon 808 , 5”-inch Full HD display, 13-MP +5-MP Camera, USB Type C in Indian market priced approx. Rs 12,999 for 16GB and approx. 14,999 for 32GB. Xiaomi Mi4C already launched in China on 22nd Sept. priced at CNY 1,299 for 2GB RAM+ 16GB ROM while 3GB RAM+32GB ROM for CNY 1,499 in Yellow, White, Pink, Blue and Black colour option. Xiaomi Mi4C listed on Chines retailer Oppomart site priced at $249(Approx. Rs 16,500). While it’s predecessor Xiaomi Mi4i launched priced at Rs 12,999($205) in Black, White, Orange, Light Blue, and Pink colours. The all new Xiaomi Mi4C supports Dual-SIM (Micro SIM), 4G LTE, 3G, NFC, Wi-Fi, Bluetooth, USB Type C and GPS offers you a 5”-inch full-HD IPS Sharp JDI display with resolution (1080×1920 pixels) with OGS Corning Concore, 438 ppi and new Edge Touch Technology delivers stunning color consistency even in bright sun light from almost any angle perfect for watching movies, playing games and reading e-books. Know more About Upcoming Xiaomi Mi4S…. Xiaomi Mi4C runs on most advance Android Lollipop 5.1 OS dubbed MIUI version 7 powered by a 64-Bit 1.8GHz Octa-core Qualcomm Snapdragon 808 processor with Adreno 430 GPU and 2GB/3GB RAM gives immersive game environments and reducing power usage and heat allows you to enjoy millions of apps through Google play store. While 16GB/32GB Internal Memory (no confirmation about MicroSD Card slot) offers you huge space store your favourite songs, movies, e-books and games. Xiaomi Mi4C sporting a huge 13-MP rear camera with dual-LED flash with Sony CMOS Sensor, with f/2.0 aperture and 5 element lens, two-tone flash, with a cold white LED and a warm yellow LED perfect for low light photography and 5-MP front facing camera with with f/1.8 aperture and 80 degrees wide angle lens perfect for clicking selfies and video calling. Xiaomi Mi4C never let you down because of it’s powerful 3120mAh Li-ion battery with battery stamina Mode offers battery life up to 1.5 day for mixed usages measures 138.1mm x 69.6mm x 7.8mm and weigt 130gm. Memory 16GB/32GB Internal Memory no confirmation about MicroSD Card slot. Colours Yellow, White, Pink, Blue and Black. 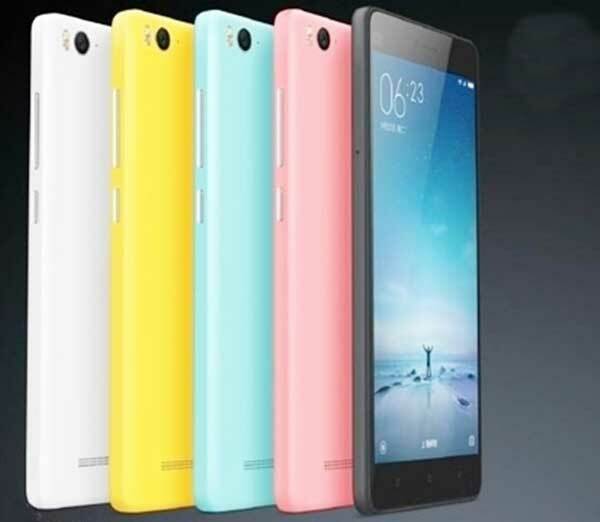 At last few honest word to say that the all new Xiaomi Mi4C is hidden tones of features to please you. What you think? Please stay tuned for more updates. when it lounch plz notify me by. mail.. Please notify me when it come to india Xiaomi Mi4c 32gb On My Mail. When it launch in India. HIS THIS IS BISWAJIT HALDAR FROM MURSHIDABAD. WHEN THIS PHONE WILL AVAILABLE IN ONLINE SHOPPING…. This phone is vry nice. Launch as fast as possible..